My list of posts to write is getting longer every day. Cooking daily but not blogging daily? Not a good match! 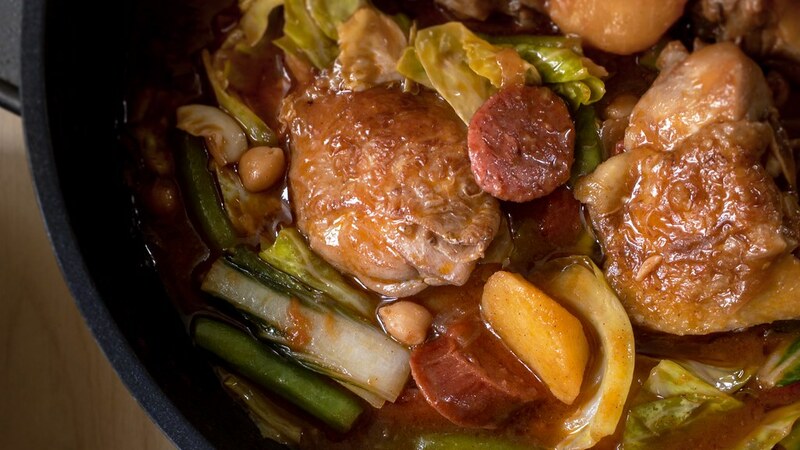 Pochero – Usually chicken, all I really know is that this has saba banana, everything else doesn’t! I did this recipe below referencing to two different websites, in hopes of getting a good version. As my husband ate it, he said it was–and I quote–“the best pochero” he’s ever tasted! It did turn out very tasty, and I won’t hesitate making it again. (Okay maybe I slightly would hesitate, because there’s so many ingredients.) But if you ever try it and you happen to know what it’s supposed to be like, it’d be great to have some feedback. Leave me a comment! Thanks in advance! 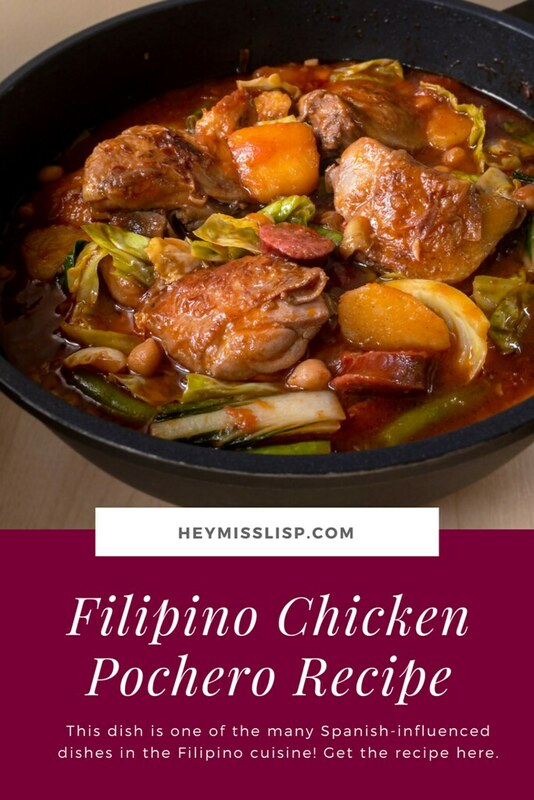 Credit: This recipe is adapted from recipes from Kawaling Pinoy and Panlasang Pinoy. In a pot or deep pan, heat oil. Fry potatoes and banana until slightly browning. Set aside on a paper towel. Saute garlic, onion, and tomatoes until soft. Add chicken and brown. Mix in fish sauce and cook for an additional 2-3 minutes. Stir in tomato sauce and water. Bring to a boil and lower the heat to simmer for about ten minutes. Season with salt and pepper, or additional fish sauce, to taste. Add chorizo and chickpeas, simmer for about 5 minutes. Next, add cabbage and green beans and continue simmering for another 2-3 minutes. Lastly, add pechay/bok choy, potatoes and bananas. Cook until all vegetables are done to your liking. Gr8 share. Luved it. Sending link of my blo. Pls visit, like & follow. Happy Blogging. Cheers!! !